Can having regrets kill you? Most people have something that they regret in life. 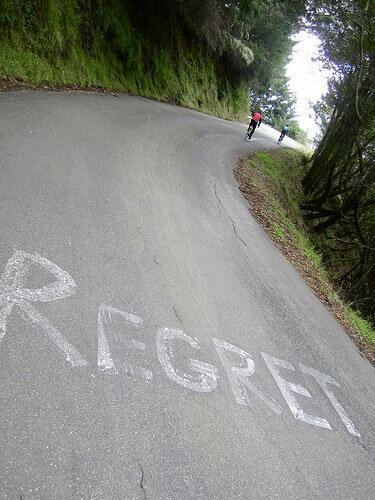 But new study found that if you can’t shake your regrets, then it could cause long-term health problems. Having regrets and not trying to “undo” them may not kill you, but it can physically make you very ill. On the other hand, dealing with regrets positively can make you emotionally and physically healthier. A new study from Concordia University looked at how older and younger adults coped with regrets and found that, regardless of age, if regrets are not dealt with properly then it can cause physical health problems. 104 adults of various ages completed a survey about their greatest regrets. These ranged from having married the wrong person to not spending enough time with their family. Participants were asked to report how the severity of their own regrets compared to the regrets of other people their age. The study found that age had no effect on how people reconciled their regrets. People who deal better with regrets even report having fewer cold symptoms. In regards to all ages and regret types, people who learned to look towards and compare others who are worse off than they are, reported a positive effect on their emotional and physical well-being over the months that followed. “Making Up for Lost Opportunities: The Protective Role of Downward Social Comparisons for Coping With Regrets Across Adulthood,” published in the journal Personality and Social Psychology Bulletin. Just Sitting There Can Kill a Person!